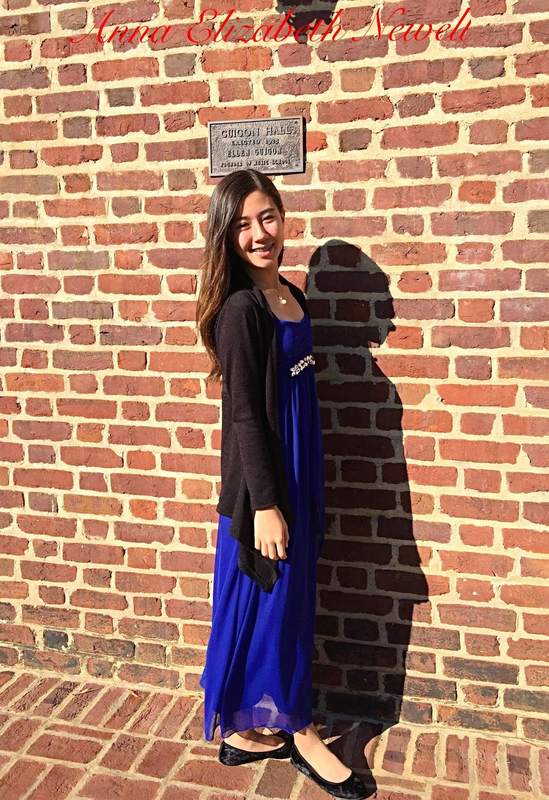 Anna Newell is a 7th grade IB student from Richmond, Virginia, USA. She has been playing piano since 5 years old and won numerous competitions such as the annual Bach Competition in central Virginia, The VCU Pianofest，Central District Audition etc. She also placed well at the Virginia State level Competitions. She is also the keyboardist and lead singer in an all girls rock band. She is a competitive swimmer, state championship finalist. She loves running and won many local youth road races. She also enjoys playing tennis.